Big Boy 4014 Restoration Underway! 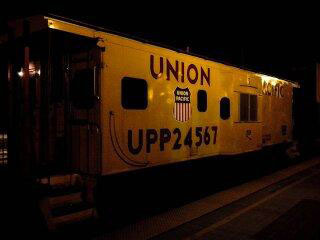 If you haven’t heard already, Union Pacific is in the process of restoring a Big Boy locomotive for operation. This is pretty exciting news for railfans, especially foamers (I use this term affectionately) with a penchant for steam locomotives. 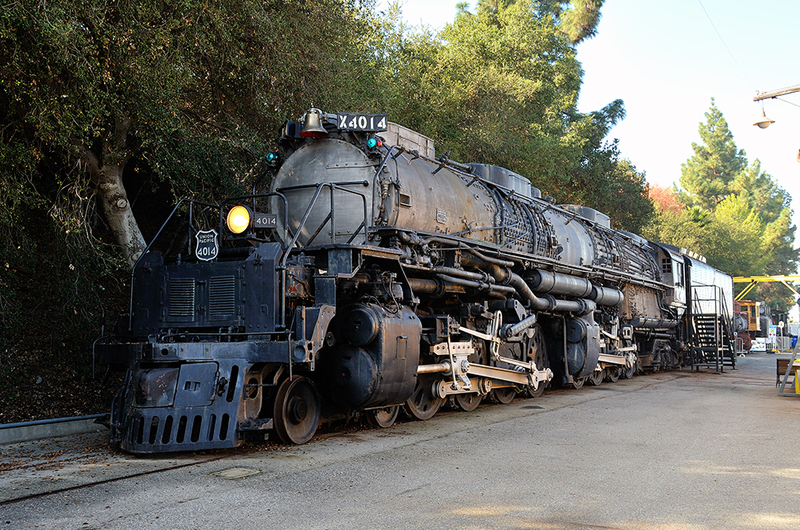 So far, UP 4014 has been moved from the RailGiants Train Museum at the Los Angeles County Fairgrounds in Pomona, CA to Union Pacific’s steam locomotive shop in Cheyenne, Wyoming. UP anticipates the restoration will take about 5 years; they are hoping to have it operational in time for the 150th Golden Spike Anniversary in 2019. What makes Big Boys unique? The Big Boy was originally designed by the American Locomotive Company as an articulated, coal-burning, 4-8-8-4 to power wartime tonnage over the Wasatch Mountains and Sherman Hill. 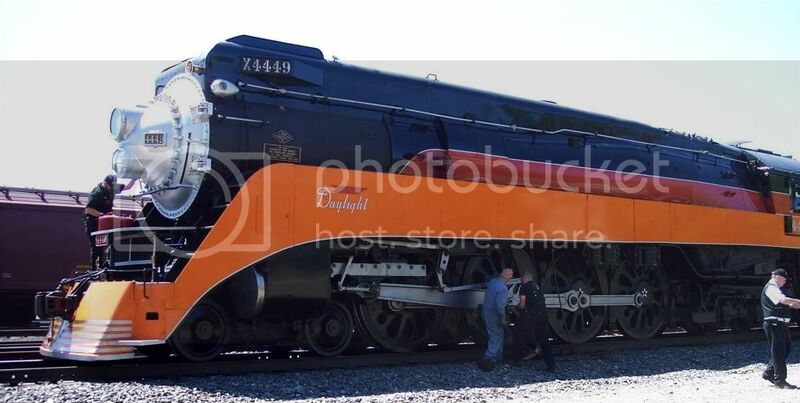 In fact, originally it was going to be called the Wasatch locomotive but one of ALCO’s mechanics working on the project wrote the words ‘Big Boy’ in chalk on the boiler and the name stuck. There were originally 20 built for Union Pacific with an additional order for 5 more to handle the increasing loads required by the war effort. Due to the impending switch of the industry to Diesel engines, there were no more produced. Only 8 of the Big Boys survive and all are in various states of (dis)repair in static (non-operating) display. Once Union Pacific decided they wanted to restore a Big Boy, their Steam Operations Team went to visit all 8 remaining Big Boys to determine which was in the best shape to be restored to operation. They decided upon Big Boy 4014 owned by the Southern California Chapter of The Railway and Locomotive Historical Society where it had been on display in the mild climate of Southern California since 1962. To lessen the blow of taking Big Boy #4014 off their hands, UP gave the museum a freshly painted SD40-2C Diesel Locomotive (UP 3015), UP insulated boxcar #453665, and a CA-13-2 Bay Window Steel Caboose (UP 24567). 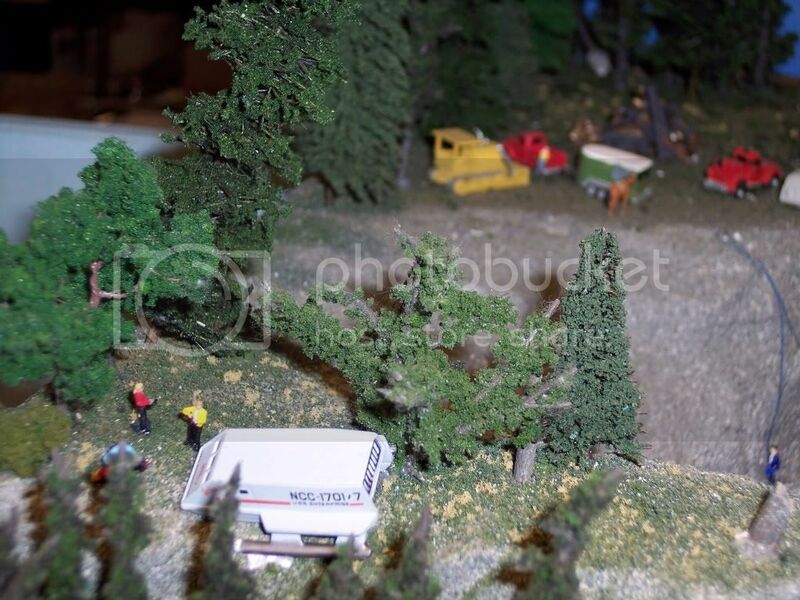 The RailGiants Museum blog has many pictures and reports of the play-by-play action of the Big Boy moving out and the replacements moving in. Big Boy 4014 Update DVD from Pentrex (Released June 2014) Click for more info or to order. The first half of the DVD has almost constant narration about the logistics of each step of the elaborate move. The 2nd half of the DVD shows many long run-bys (including some nice footage on Cajon Pass), train meets, and the crowds of fans who turned out along the way to get a glimpse of this historic locomotive and its journey as it passes through Southern California. 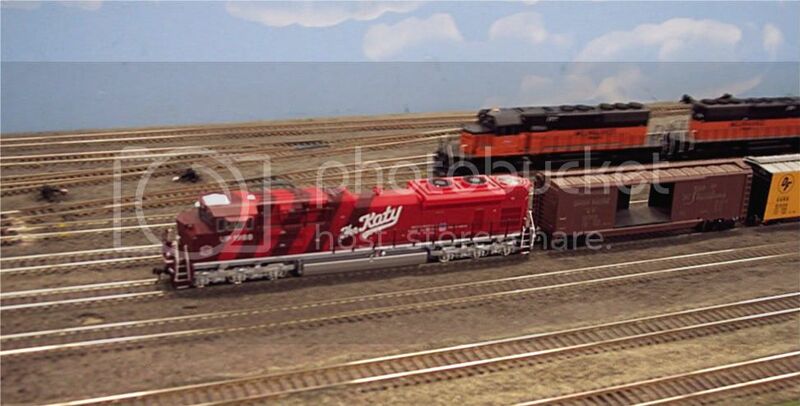 Posted in Model Railroading, Movies/TV About Trains, Railfanning, Railroad Museum, Railroad News, Train Video Reviews | Comments Off on Big Boy 4014 Restoration Underway! 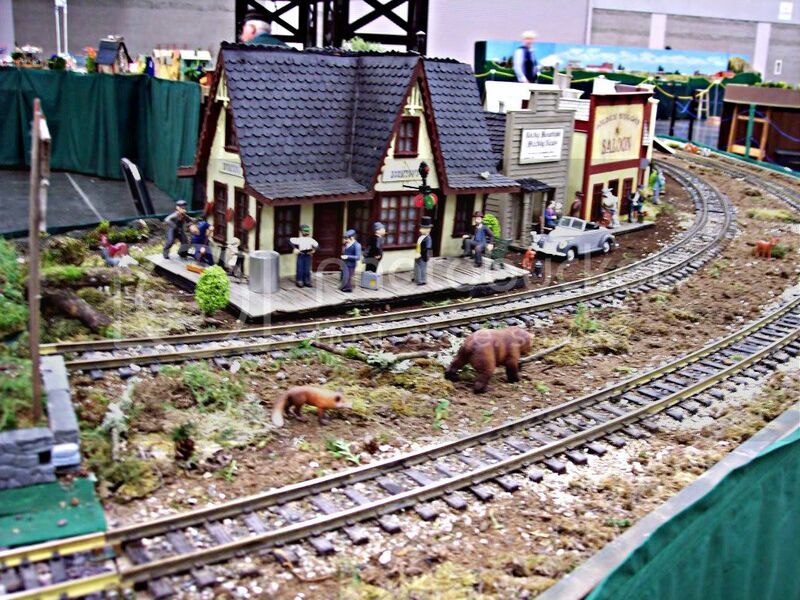 This year at the Rogue Valley Railroad Show the top two People’s Choice awards went to some family-created layouts. In first place was Gary Johnston and his nieces Sarah (12) and Rachel (8) with their layout. In 2nd place was the Lego Train City layout by TR and Kara. Art Turner created a 1.5 inch scale model of Western Pacific’s diesel locomotive #805-A from the California Zephyr passenger train. It has a sound system, air horns, operating lights, and a detailed cab interior and for the most part is completely scratch built. It took him four years to finish and it lives at the Medford Railroad Park. The Southern Oregon Chapter of the National Railway Historical Society was on-hand providing information and selling their new shirts and hats to raise money for the restoration and operation of Medco 4, a Willamette geared locomotive, and Medco 8, Baldwin S-8 diesel. They hope to begin operating an excursion railroad in the future. Next door to our booth was Sidetrack Laser who produce various model kits of buildings, etc. mostly inspired from locales in the western United States. 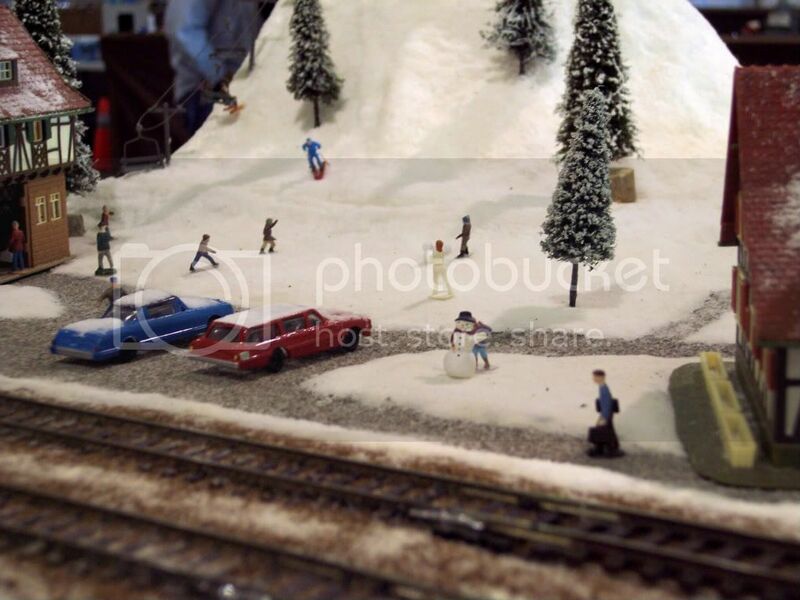 There are lots of train shows happening before the end of the year. To find one near you check our Train Shows page: http://www.theshortline.com/SHOWS.html. 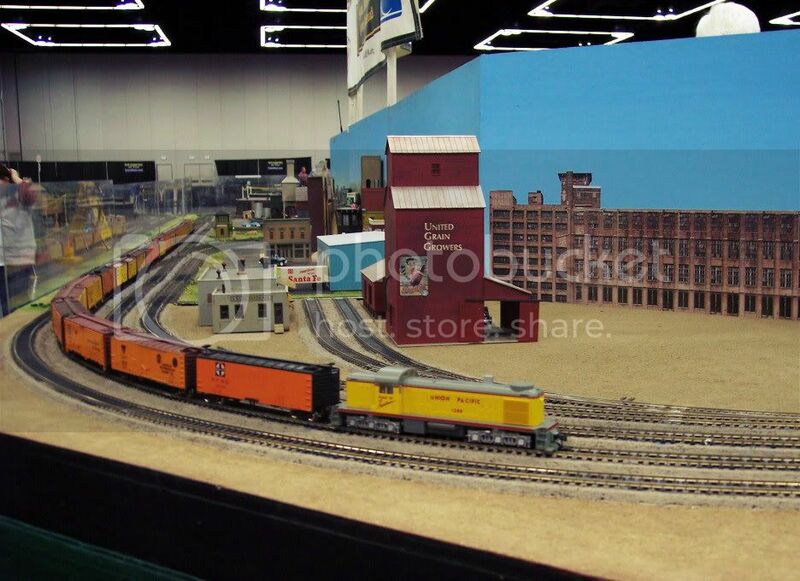 We will be at the Great Train Expo in Portland, OR this weekend, December 8th & 9th at the Portland Expo Center. 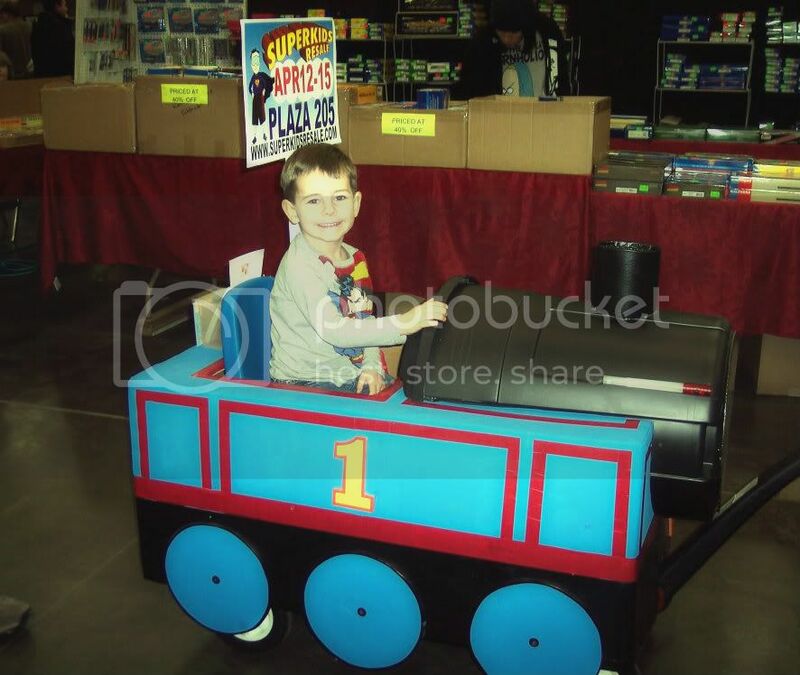 The following weekend (December 15th & 16th) we will be at the Great Train Expo in Puyallup, WA at the Puyallup Fair and Events Center. 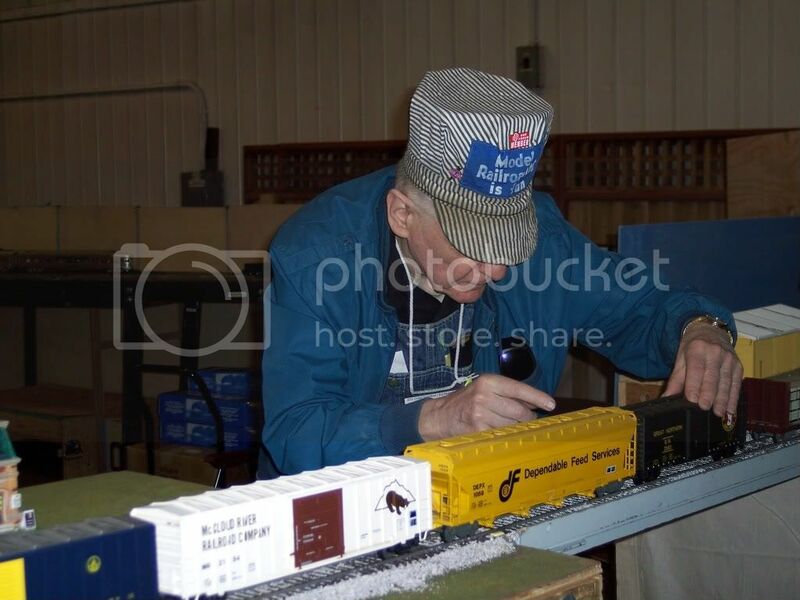 Being a vendor at train shows throughout the Pacific Northwest, there is one locomotive that fans ask for DVDs and Blu-rays about more than any other, the ever-recognizable Southern Pacific 4449. This fall is an incredibly special time for SP 4449, her friends, and railfans everywhere. This weekend, September 22nd and 23rd, is the Grand Opening of the Oregon Rail Heritage Center. Over 5 million dollars have already been raised to make this opening a reality. The Oregon Rail Heritage Foundation is still just under 1 million dollars away from being fully funded for Phase 1 of the project designed to house, give needed space to restore, and give public access to the three steam locomotives owned by the city of Portland, the only US city to own two operating steam locomotives (SP 4449 and SP&S 700); Portland’s third (OR&N 197) is still being restored. 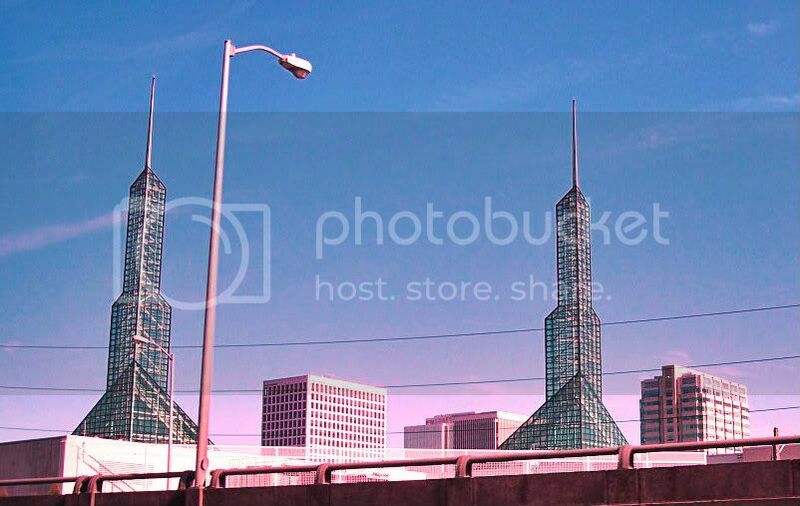 This October, you can even take an excursion with SP 4449 leading the way from Portland, OR to Bend, OR where they will spend the night and return the next day. These are very exciting times for railfans from all over the world. If you can make it to one of these events, do so! If you do, we’d love you to share your experiences with us by leaving a comment here or on our Facebook page. 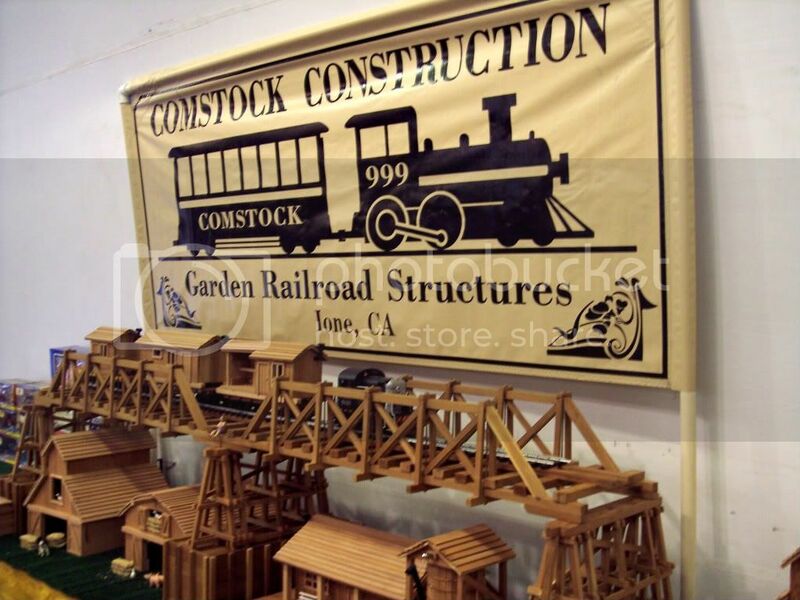 A few weeks ago we attended the Sacramento Great Train Expo. Usually I try to document the trip within a week or two but unfortunately my immune system was assaulted (repeatedly) which laid me up for awhile and I got behind on a lot of tasks. This ended up getting further compounded by another show. I apologize especially to those who I told would be making an appearance in this blog, please forgive me. Without further adieu… here’s my report on the Sacramento show and the accompanying trip! My trip began with a flight from Southern Oregon to Burbank where I sat next to a nice woman who had been a teacher most of her life and we had a long conversation about a variety of topics. Here, I have to offer another apology as I lost her name and email address but hopefully she kept mine and will see this. 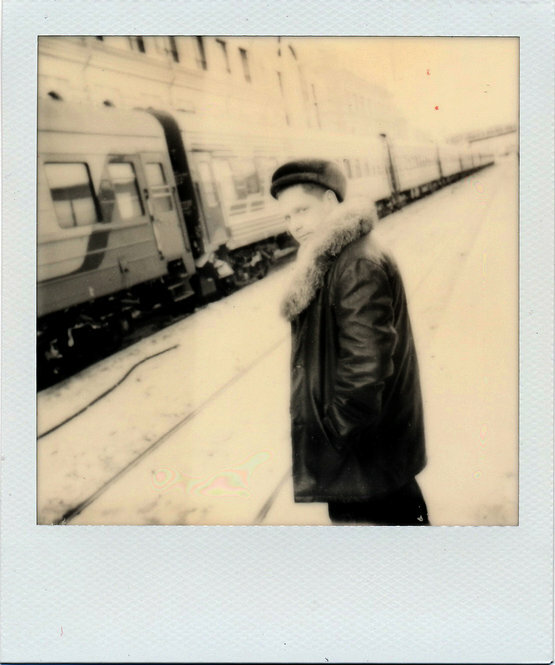 As we discussed trains and travel, she asked me what the longest train route was and I admitted that I didn’t know but that I would find out and put it in my blog for her and my readers. A few days later, as Don and I were headed north from Los Angeles on our way to Sacramento we fortuitously heard a story on NPR’s Morning Edition on the Trans-Siberian Railway and I realized that was the answer to her question. To further flesh out the answer, someone has made a nice little page on Wikipedia attempting to document the longest passenger train journeys, the top 3 of which are all in Russia. Once we arrived in Sacramento we made our way to the Cal Expo State Fairgrounds where vendors were in one hall and layouts were next door. As we were unloading the truck we could hear trains passing nearby blowing their whistles. 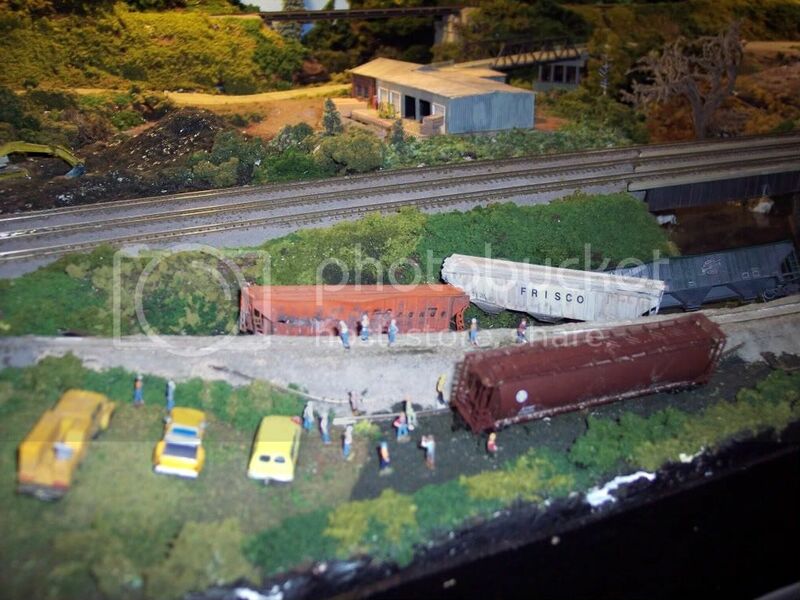 Once we we were set up, I took the opportunity to visit the other vendors and layouts. 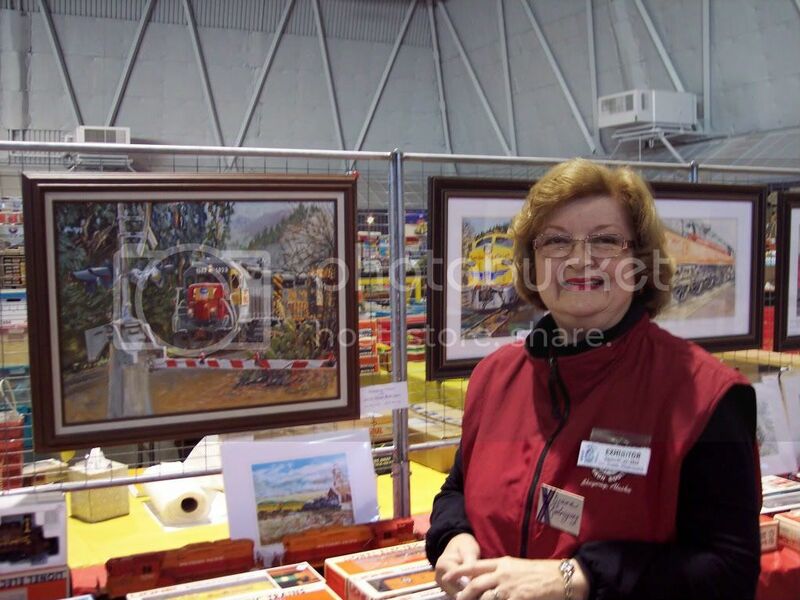 I met Diane Rodriguez who is an artist and painter who brought many of her original works of watercolor and oil paintings showcasing locomotives and trains. She also sells prints and and cards of her works, you can check them all out on her website, www.dianerodriguezart.com. 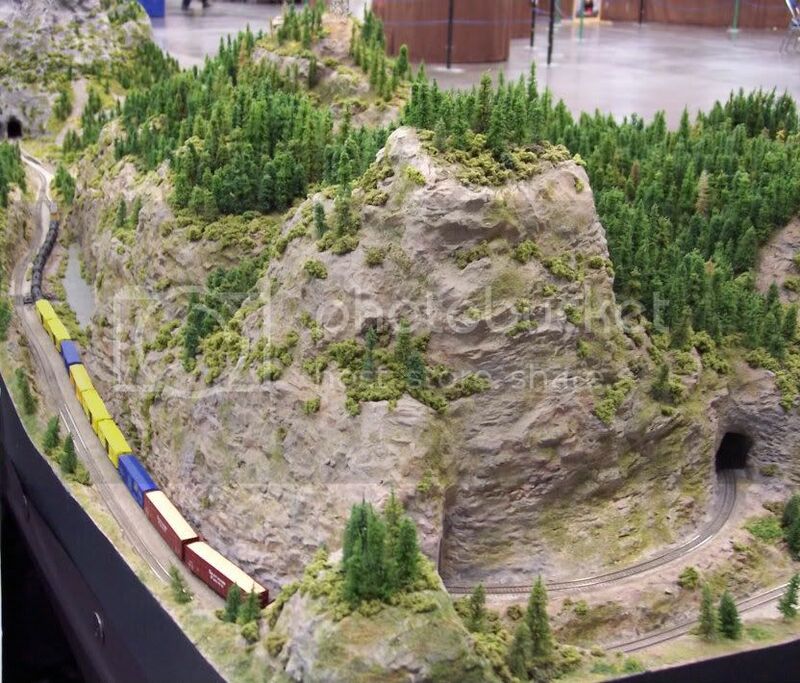 Among the layouts were the Diablo Pacific Short Line which is a non-profit organization that educates the public about railroading and the role of railroads in America. 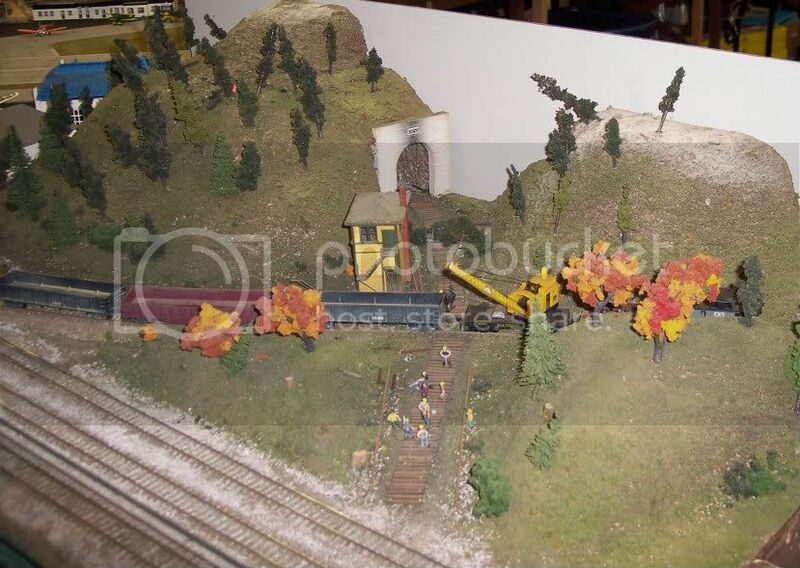 They are a modular layout with 500 feet of track and have members from hard-core modelers to youths just learning about railroading. 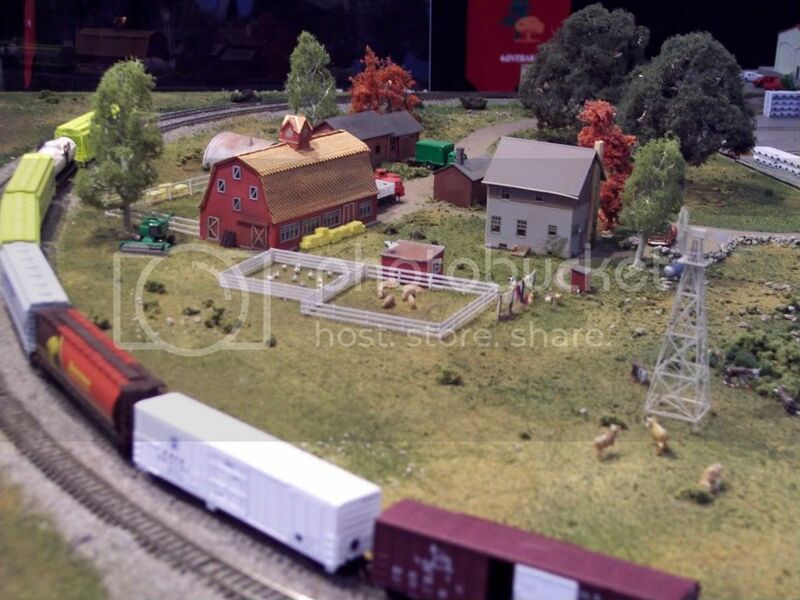 Another large layout was provided by Coastal Valley Lines out of the Sonoma Valley, CA. I met two of the module designers, Allie and Joan. They and some of their designs are highlighted below. 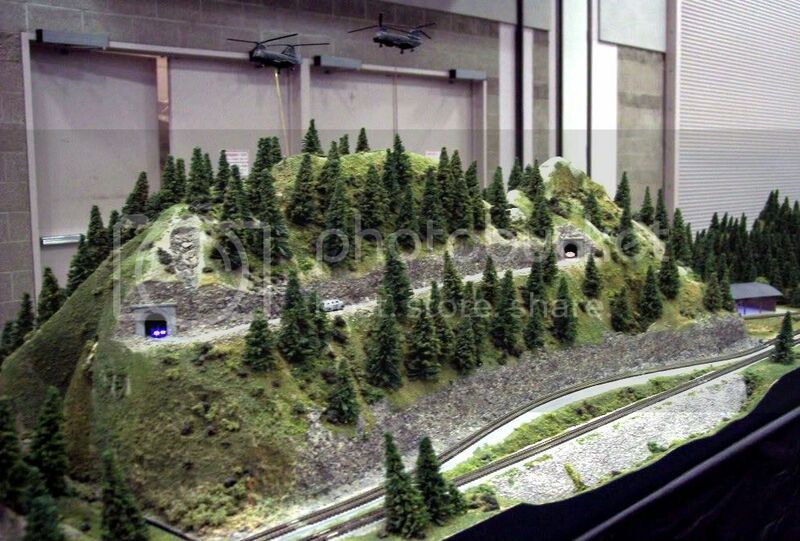 Also at the show was Sacramento Valley N-Trak who model the greater Sacramento area focusing on fallen flags including Southern Pacific, Western Pacific, Santa Fe, Sacramento Northern, Tidewater Southern, and others. 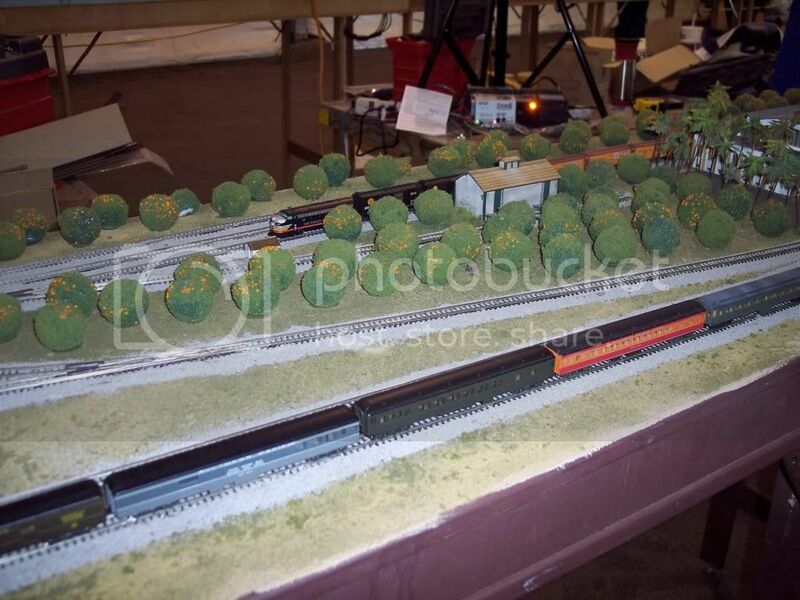 I also came across this layout called the Rusty Spike Railroad Co. , a member of the Toy Train Operating Society (TTOS). 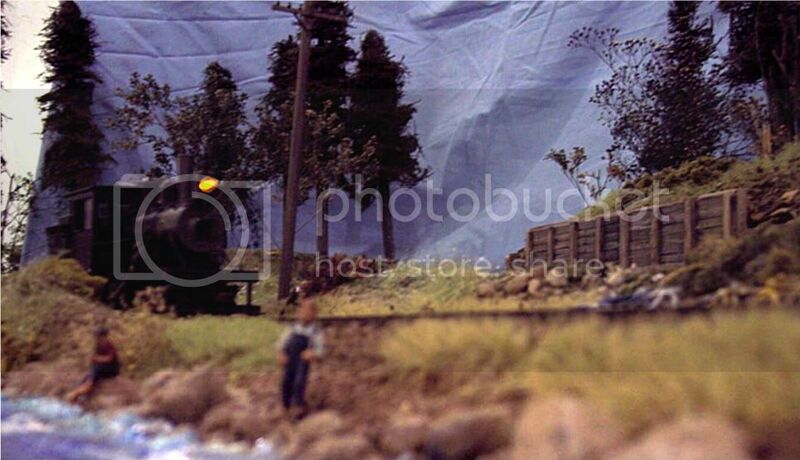 I believe they will also be at the upcoming Toy Train Expo & Sale in Santa Clara, CA on Sunday March 4 from 9am to 4pm. Another group visiting from the wine country was the aptly named, Wine Country N-Scalers. That’s it from the show, it turned out to be great even though my beloved Saints lost the playoffs that weekend (boo.) 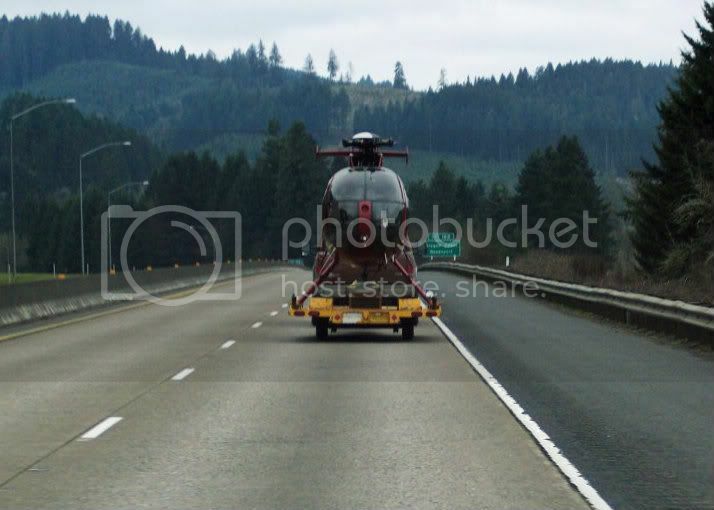 Our drive home was pretty uneventful. Except for this guy…. It was cold, clear, and beautiful out. 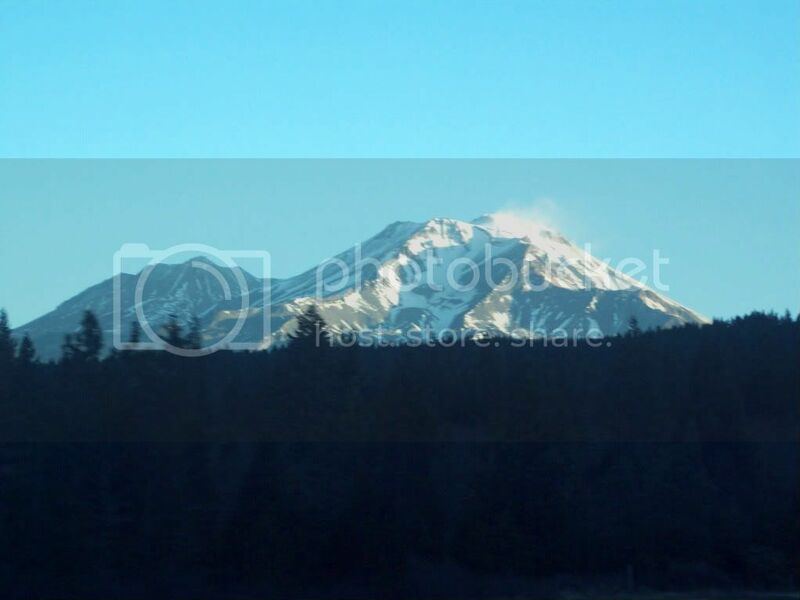 I snapped a nice shot of Mount Shasta as from the warmth of the truck as we drove by. Report from Rickreall Show – Winter is Coming! 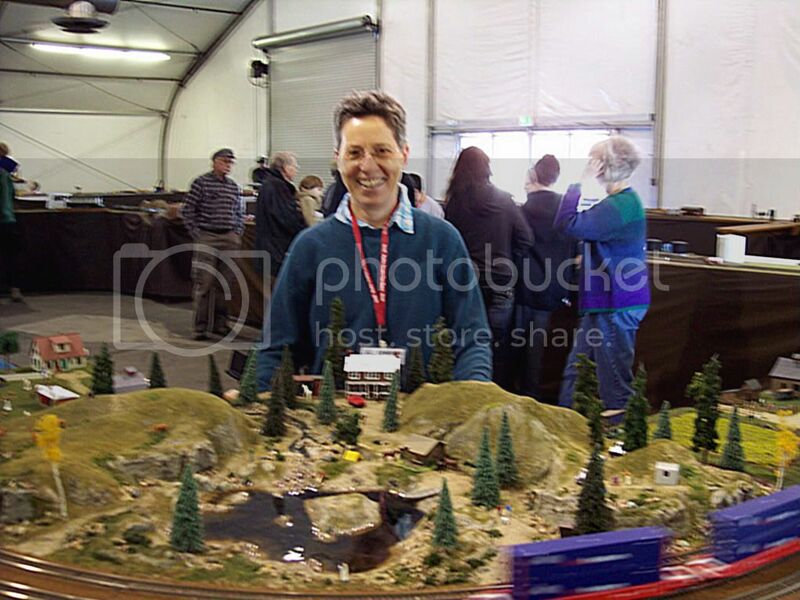 Last Saturday we drove up to Rickreall, west of Salem, Oregon for the Willamette Valley Model Railroad Show at the Polk County Fairgrounds. We left good ol’ Merlin in the wee hours of the dark and cold morning. Once the sun came up a few hours later we could see the passing countryside tinged with white frost everywhere and as ice formed on our antenna it began to flail back and forth with gusto as if in irritation. Since we were only allotted a couple of hours to set up we brought our railfan goods (DVDs, Blu-rays, T-Shirts, etc.) and had to leave the bulk of our scale modeling items back at the ranch as our usual show setup takes about 5 hours to erect. Available from the wide variety of vendors were new and used goods in a variety of scales. It was a proper swap meet format lacking operating layouts on display which seemed to suit the 500+ attendees just fine as they kept a discerning eye out for prized pieces for their collections. Below you will find a picture of a SW1200 with full sound and battery charger custom made by Michael Baker of R & M Electric Locomotives. It is 7 1/2 inch gauge in 1 1/2″ scale and is available to purchase for $9100 by emailing mjbaker.1@juno.com. He is in the process of building another one that will also be available to purchase and it can even be custom-ordered to the road name and paint scheme you choose. If you are looking for a place to run it after you’ve bought it then look no further than the Pacific Northwest Live Steamers and their Shady Dell Train Park in Molalla, OR. 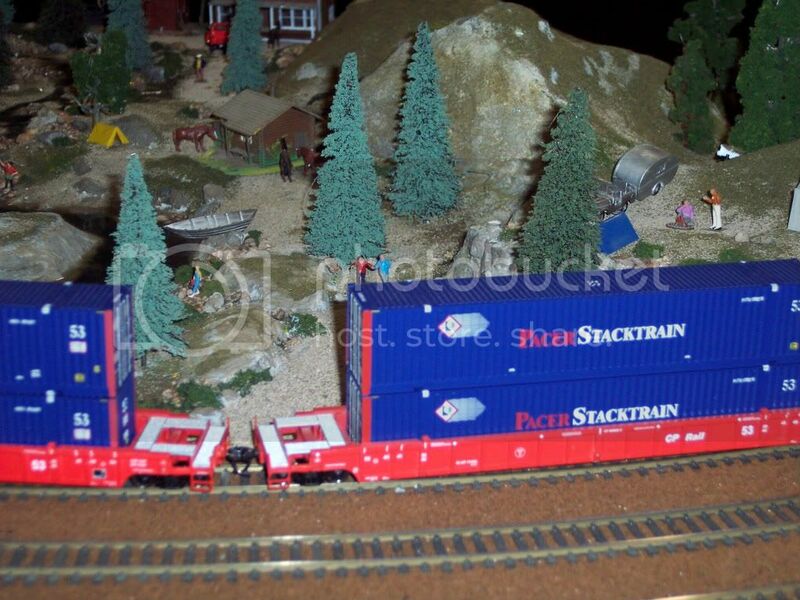 You can learn more about this non-profit train park by visiting them online at PNLS.org or you can call 503-829-6866. Their 2011 season is closed now but next year they will again be open to the public Sundays and holidays from 12:00pm to 5:00pm beginning the first Sunday in May through the last Sunday in October. 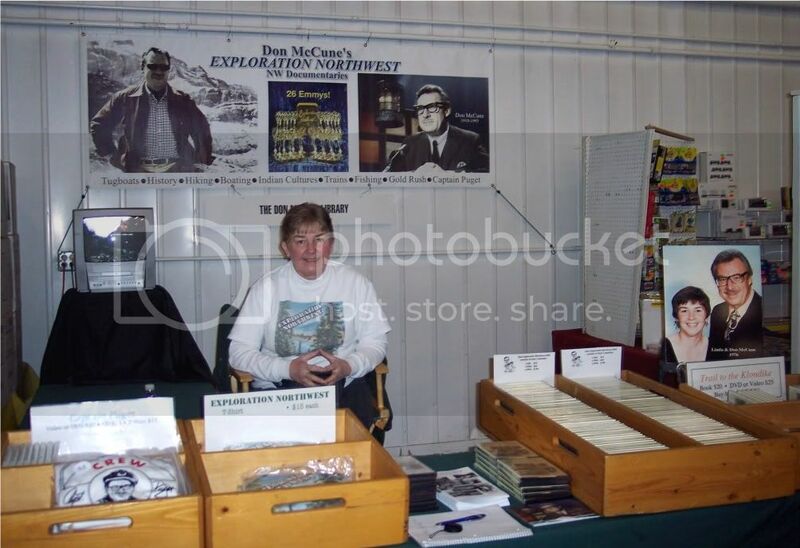 Also with a booth at the show were the folks from the Northern Pacific Railway Historical Association who are dedicated to preserving the history of the Northern Pacific Railway. If you’d like more information or to become a member please visit them at www.NPRHA.org. Happy Holidays from us at The Short Line! Brrr.... It's cold out there! 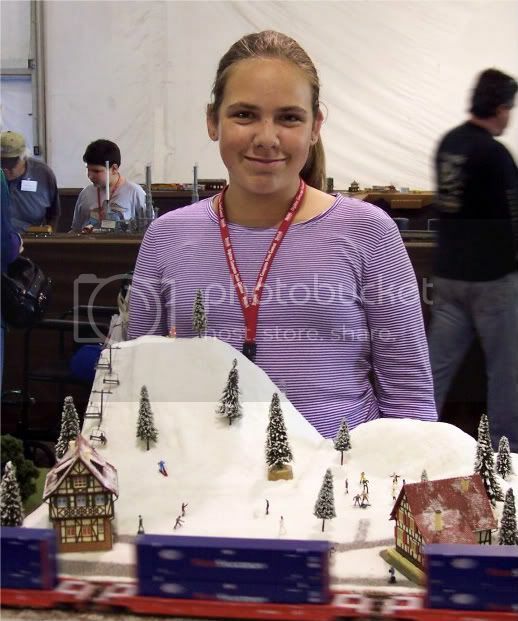 Posted in Model Railroading, Railfanning, Railroad Museum, Train Shows | Comments Off on Report from Rickreall Show – Winter is Coming!